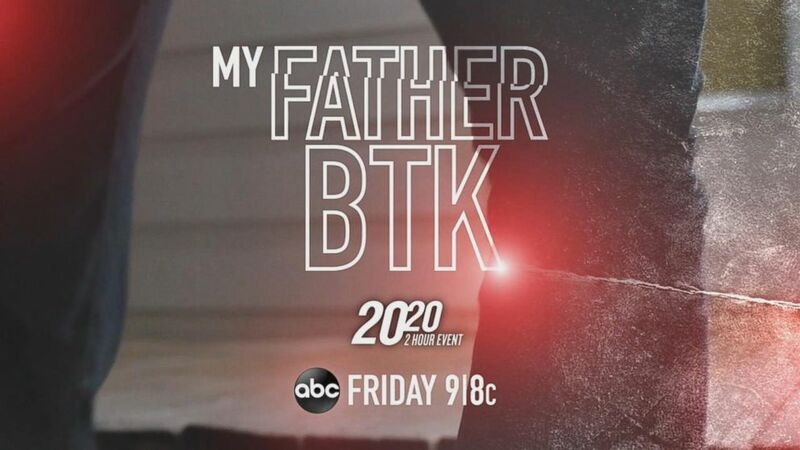 After «BTK» serial killer Dennis Rader’s shocking confession to murdering 10 people, which brought an end to a decades-long mystery and reign of terror in Wichita, Kansas, his daughter had to find ways to cope with her new, shattered reality. While one nightmare was ending for the town, the personal nightmare for Kerri Rawson was just beginning. «I had to learn how to grieve a man that was not dead, somebody I loved very much that no one else loved anymore,» Rawson told «20/20» in her first television interview. Rader, now 73, was arrested in February 2005 and pleaded guilty on June 27, 2005, to 10 counts of first-degree murder. He is currently serving 10 consecutive life sentences without the possibility of parole. Rader’s killing spree began in January 1974, when he targeted four members of the Otero family, killing Joseph and Julie Otero and two of their five children. He killed 21-year-old Kathryn Bright later that year and his next two victims, Shirley Vian and Nancy Fox, in 1977. Rawson was born the following year. In April 1985, Rader murdered his eighth victim and neighbor, Marine Hedge, who lived just six doors down. Vicki Wegerle became Rader’s ninth victim in September 1986. Five years passed, and then in January 1991, Rader murdered his 10th victim, Dolores Davis. While Rader was in jail awaiting sentencing, Rawson said a pastor at their church encouraged her to write to her father. 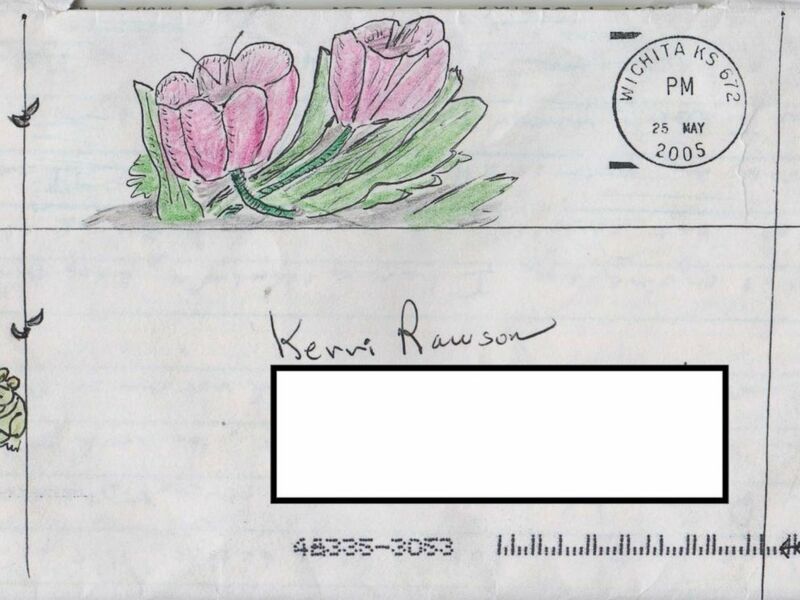 «BTK» serial killer Dennis Rader wrote his daughter Kerri Rawson numerous letters after his arrest in 2005. According to her book, in the months leading up to his plea, Rawson and her father exchanged letters about his court proceedings, reading the Bible and how their family was doing. Rader often wrote matter-of-factly about what his daily life was like behind bars. He also spoke longingly about wanting his family to write him and used the words «forgive me» several times. Rawson couldn’t bring herself to attend her father’s court appearances, and after his plea and his sentencing in August 2005, «I shut down,» she said. «I was mad. I was done. I wiped my hands of him for two years,» Rawson said. Even though she didn’t write her father again until 2007, Rader continued to write her after he was sentenced. According to Rawson’s book, in a letter dated Sept. 22, 2005, Rader again asked Rawson how she, her husband and her brother were doing. He wrote that he wished his wife would write him – Rawson’s mother had been granted an emergency divorce in July 2005 — and he continued to describe his routines in prison. 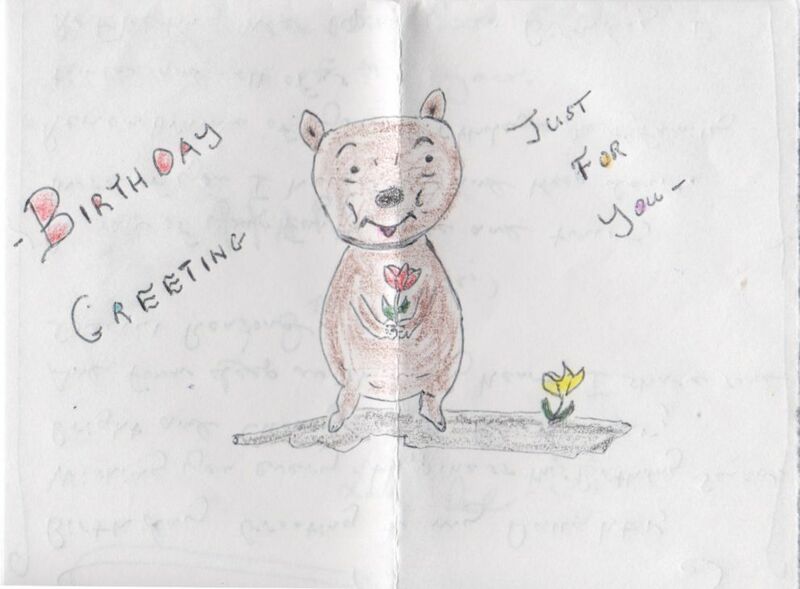 «I would wish no harm to you but some crazy individual might try something,» Rader wrote. In another letter Rawson includes in her book, dated Nov. 17, 2005, Rader described watching a Kansas sunset from his cell window. 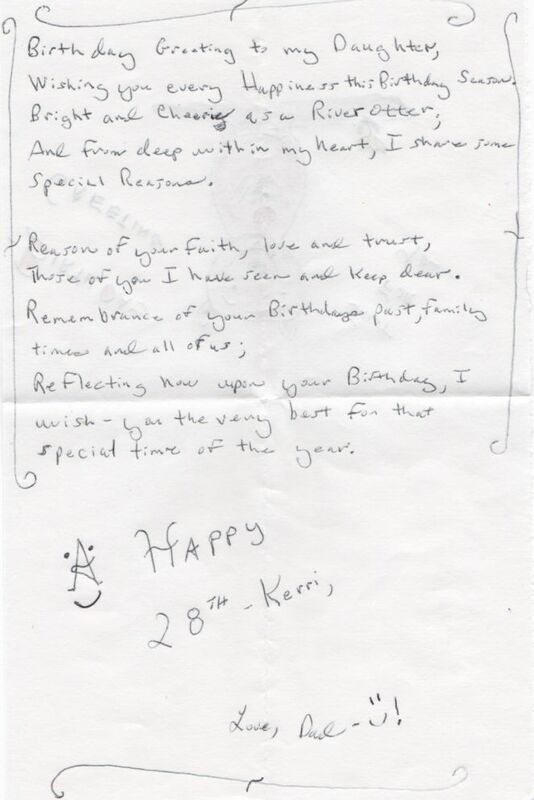 «BTK» serial killer Dennis Rader wrote to his daughter Kerri Rawson behind bars for her 28th birthday. «Hope things are okay there. Snowing here today! Blessed and better 2006,» Rader wrote. When she finally wrote back in 2007, it was to let her father know she was pregnant with her first child — a daughter. 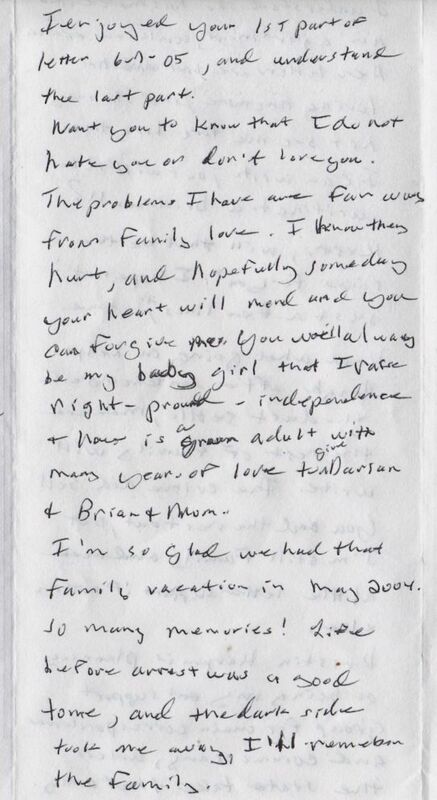 «You were a good Dad most of the time and raised us well, and we do not know what to believe – who you were to us, or who you were to others,» Rawson wrote her father in a letter dated Aug. 8, 2007. But then Rawson said she cut off communication with him again for five years afterward. She now also has a son in addition to her daughter. Rawson said she began writing her father again in 2012, and still does to this day, because she has forgiven him. «It was a very long journey,» Rawson said. «There was a lot of hard work in me, with faith. I had gone back to church. I was working on my relationship with God, working on my own heart,» Rawson said.